Spices such as ginger were prized by early European explorers. Finding new routes to source these spices led to Cabot’s voyage of discovery in 1497 and Victoria’s early tea culture. Sea Cider pays homage to our seafaring ancestors with Ginger Perry. As part of our Barrel Series, gin barrels and ginger are used to infuse our Ginger Perry with zesty notes that compliment the sweetness and bright acidity of British Columbia pears. Raise a glass of Sea Cider to the spice trade! 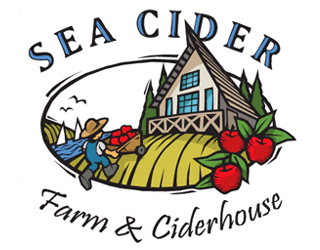 Ginger Perry is the newest addition to the Sea Cider Barrel Series. As the name suggests, the Barrel Series contains ciders that are traditionally influenced by oak aging methods with the addition of spirits, and yielding ciders with higher ABV’s (12-14%). Oak barrels have been used in cidermaking for centuries, imparting a variety of complex aromatics and flavours, depending on the oak being used. To create Ginger Perry, we begin by fermenting the best of BC apples with champagne yeast. We then create our very own ginger and juniper bitters by soaking fresh cut ginger and juniper berries in a cider eau de vie. This is blended with the dry base and sweetened with unfermented pear juice. The result is Sea Cider Ginger Perry! Expect zesty notes of ginger and juniper to mingle with a sweet and lively acidity from the pear juice in a perfectly-balanced, semi-sweet union.